I encounter a pdf file which has 3 levels of titles that is of same font. This pdf file is attached. I use this setting in order to generate the 3 level bookmark. but somehow it went wrong. Look at chapter IV, it is totally not right. No reaction on this yet? I did a test (today) with the posted PDF and I saw the same problem. When level 2 criteria is excluded, then the bookmark generation seems to work correctly. When it is included, it goes wrong. The post was made at 3:17am UK time, which is 7:17pm Canadian time, so no one was available to answer and not all emails and topics are answered over the weekend. I cannot reproduce this here - for me copying your settings produes no results at all. I'll pass this along to the devs. to see if they can share their thoughts. In the meantime, can you please walk us through your process, step-by-step? I'd like to make sure that I didn't miss anything. Don't mind about my "No reaction yet", but this question about the bookmark plugin was not answered since Feb. 17, 2017 (more than a month). This is something I am not used to see here in this forum. 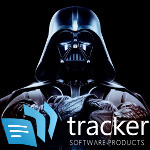 In normal circumstances, Tracker Support is always reacting very promptly. So, no bad word about that! I have attached a new print screen with the "Generate Bookmarks From Page Text" settings, as I see that in balabi's version there is missing a small part. I also did a little modification in the syntax. But, the result is the same as in balabi's second picture. On page 20 of his example PDF (numbered p. 156), you can see in the second column that there is a title "D. Systems in two dimensions". This title is missing in the resulting bookmarks. I still cannot reproduce this here - I believe that you are using build 321, is that correct? Is there any other info. you can provide to help me reproduce the problem? The plugin-file "bookmarks.pvp" has a date March 06, 2017. Myself, I can easily reproduce balabi's problem. I have attached an additional ZIP with my registry settings about balabi's bookmarks and also the resulting PDF. This looks to be a previously reported issue with the Bookmarks plug-in (http://www.tracker-software.com/forum3/ ... 62&t=28473). I have asked the dev team to investigate if the cause for these two issues is related. I will post back here when I know more. Thank you for your patience and understanding while we work to resolve this issue. These issues are not related because these are entirely different operations. As for the bug itself - it's to deeply hidden to be fixed quickly as the Auto Generation algorithm is complex and vast and things like this can happen from time to time as it's impossible to do 100% perfect generation for all of the files. I've put this into my schedule, though it's priority is low.